Palestinians have a long history of popular resistance using different methods. The most prominent are burning tires and throwing stones at the occupation forces. This was was obvious especially starting in 1988, during the first Intifada (uprising), and beginning in 2000 with the second Intifada. March 30, 2018 is considered another turning point in the popular and nonviolent resistance, when people went to the separation fence area to protest holding banners and raising the Palestinian flag. A group of youth called the “burning tire unit” was established. 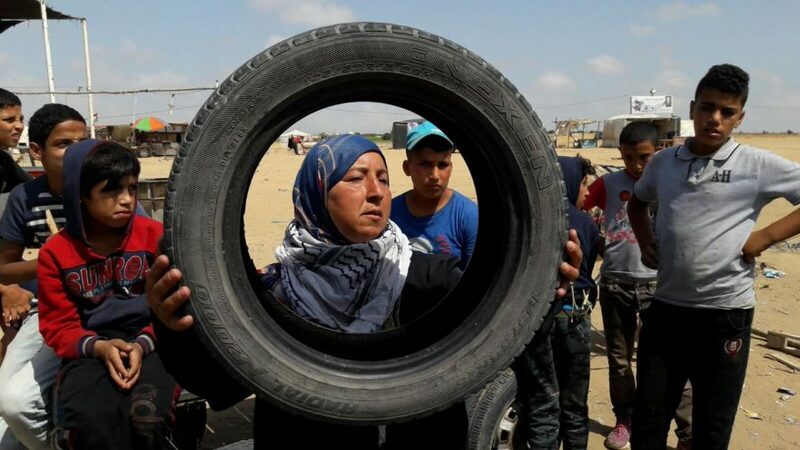 “After using burning tires, we reduced the loss of life among protesters,” she added. * Wafa Aludaini, a Gaza-based activist and journalist, is the manager of the 16th October Group.